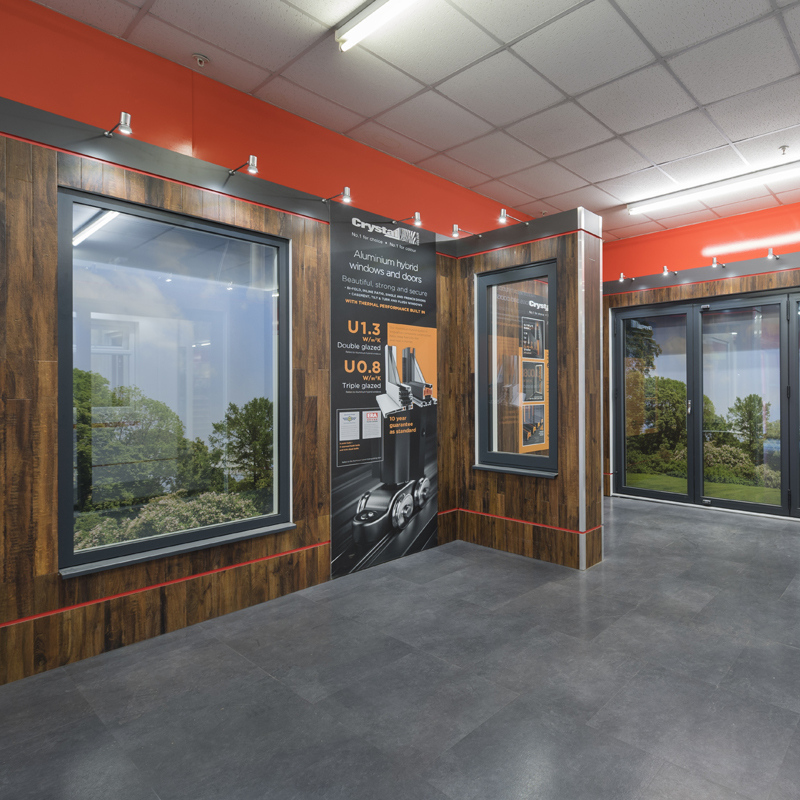 We know that merchants who sell with showrooms and online configurators sell much more, and more easily, than those who don’t. 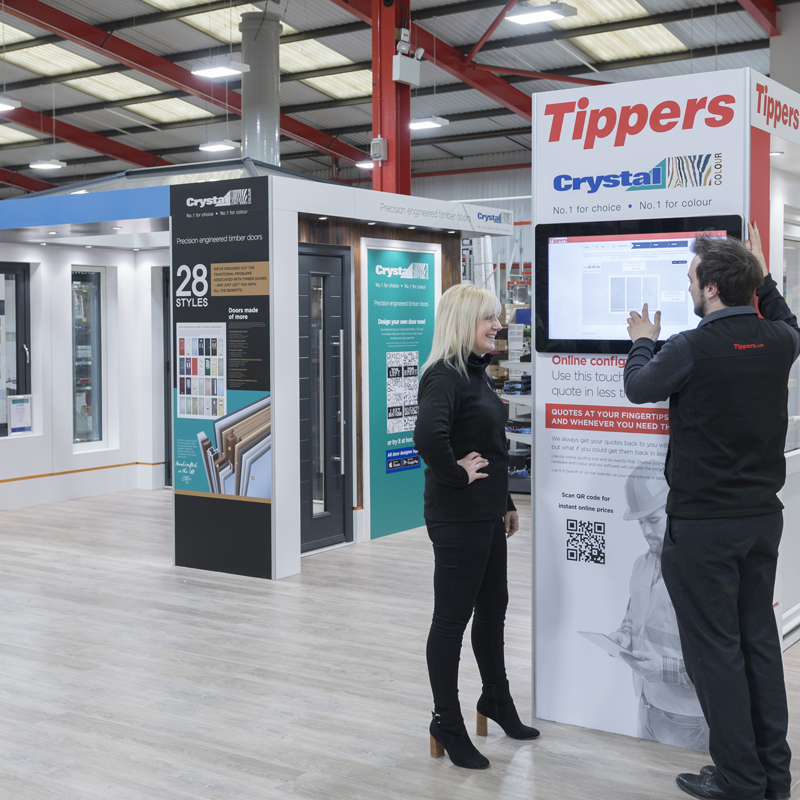 A growing number of customers go online first to find helpful, relevant content and their perceived product solution. 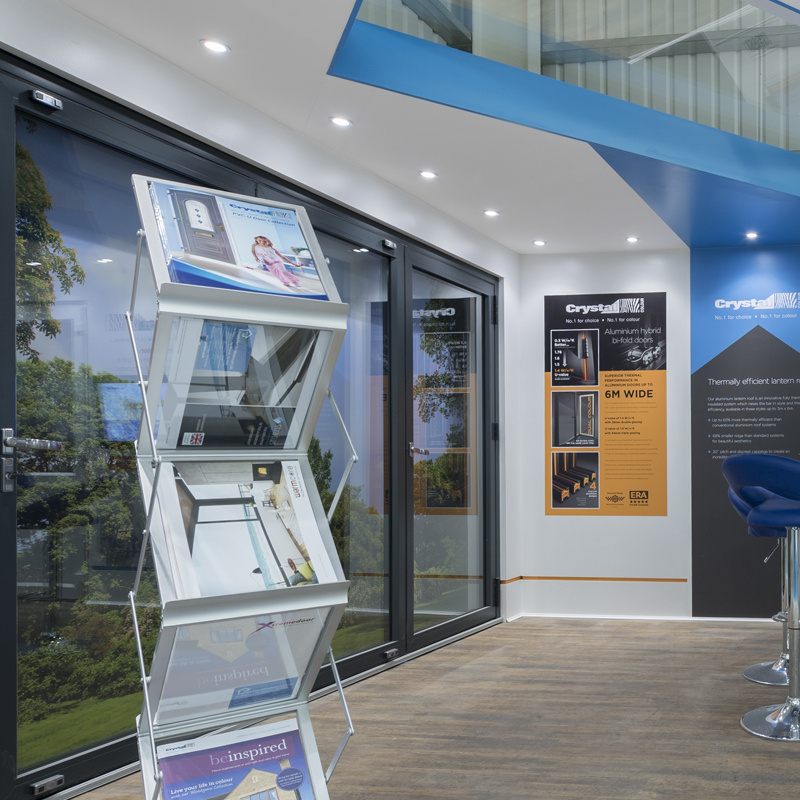 But then ready to buy, merchants need to follow up at branch level with knowledgeable staff and strong physical representation of the product, backed by realiable, on-time deliveries. 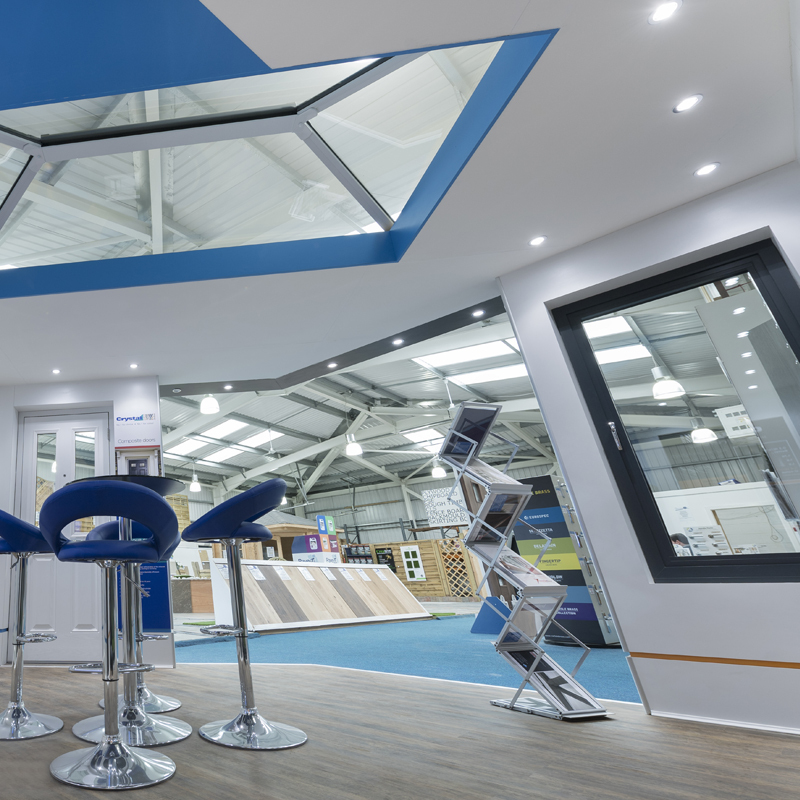 The showroom is an investment for the merchant and is a positive step towards growing their businesses. 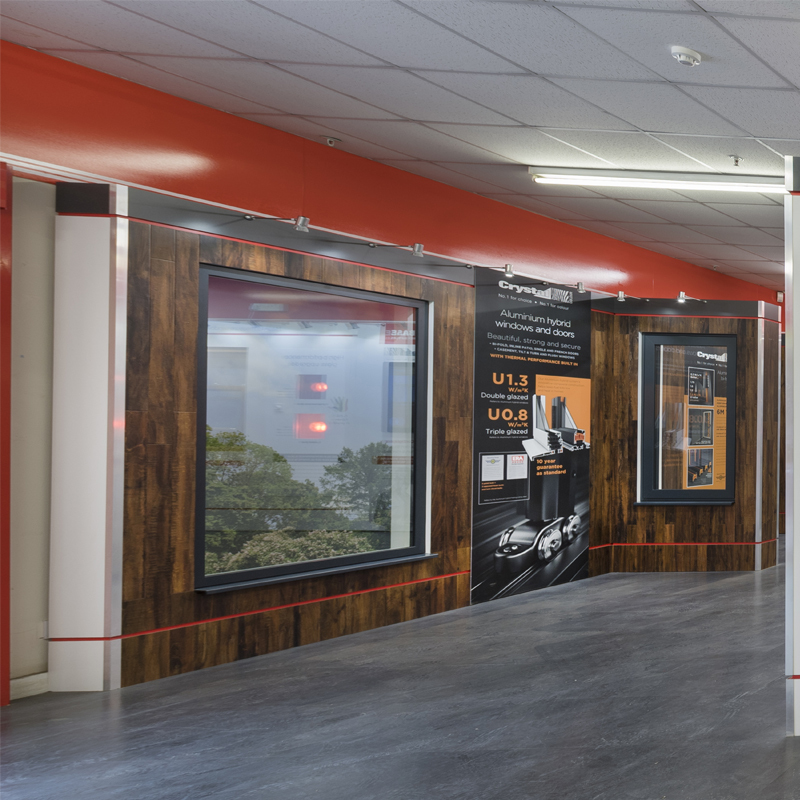 Our showroom experts will visit merchants to create a beautiful showroom using our modular display options. 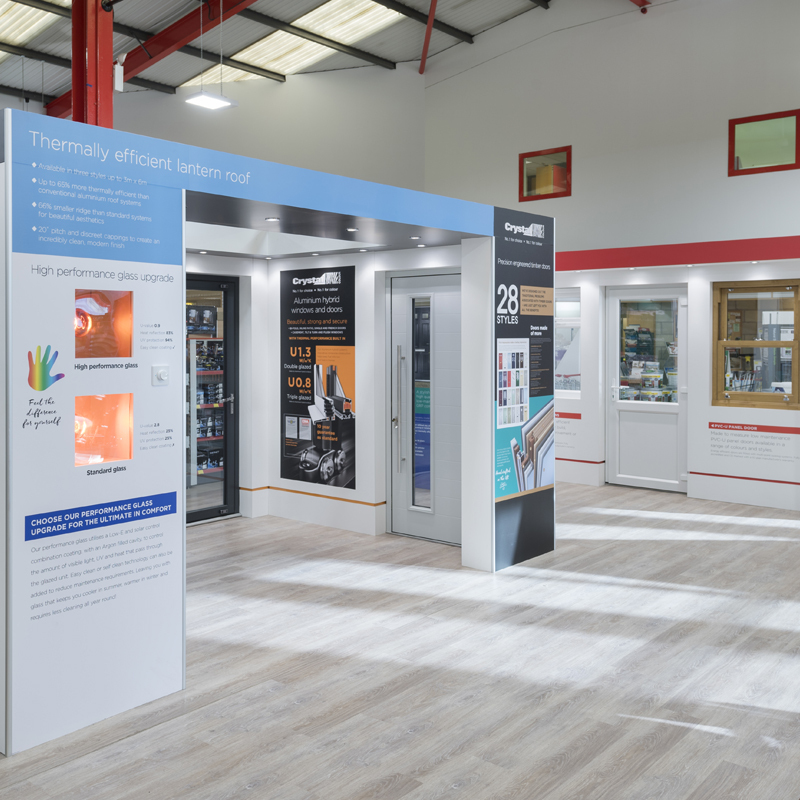 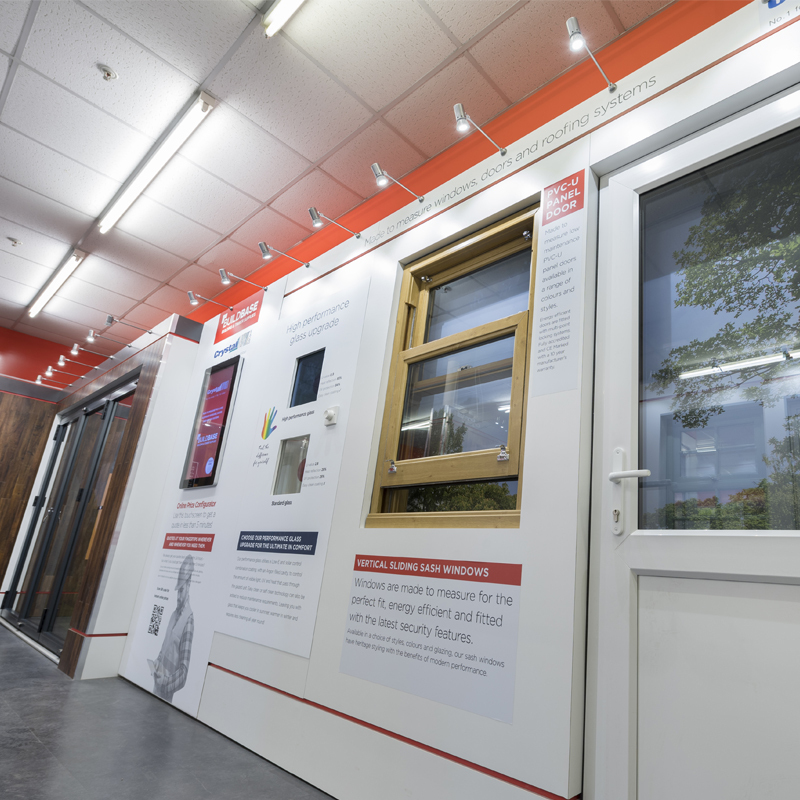 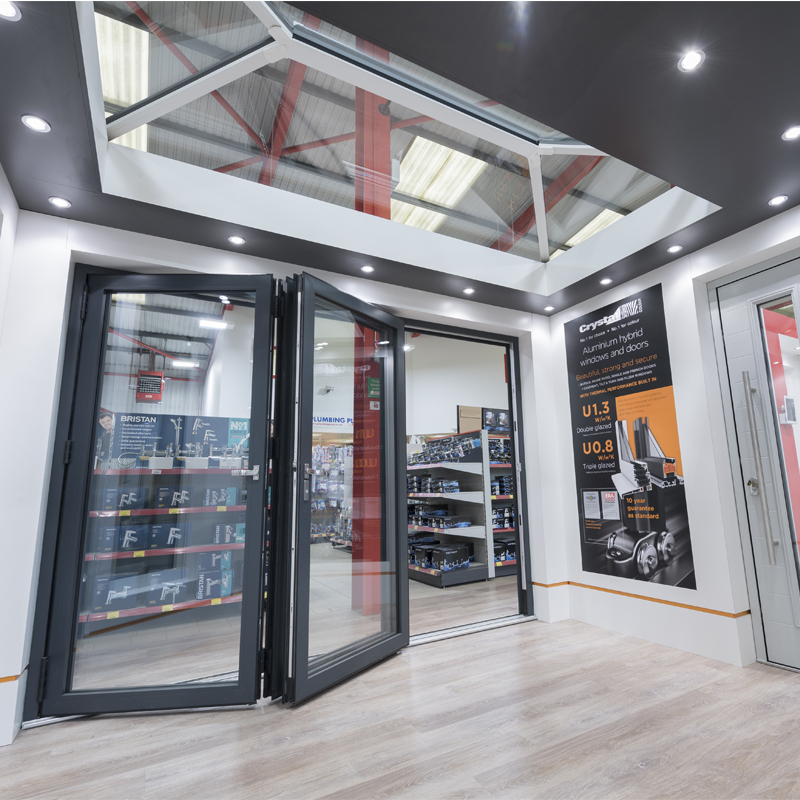 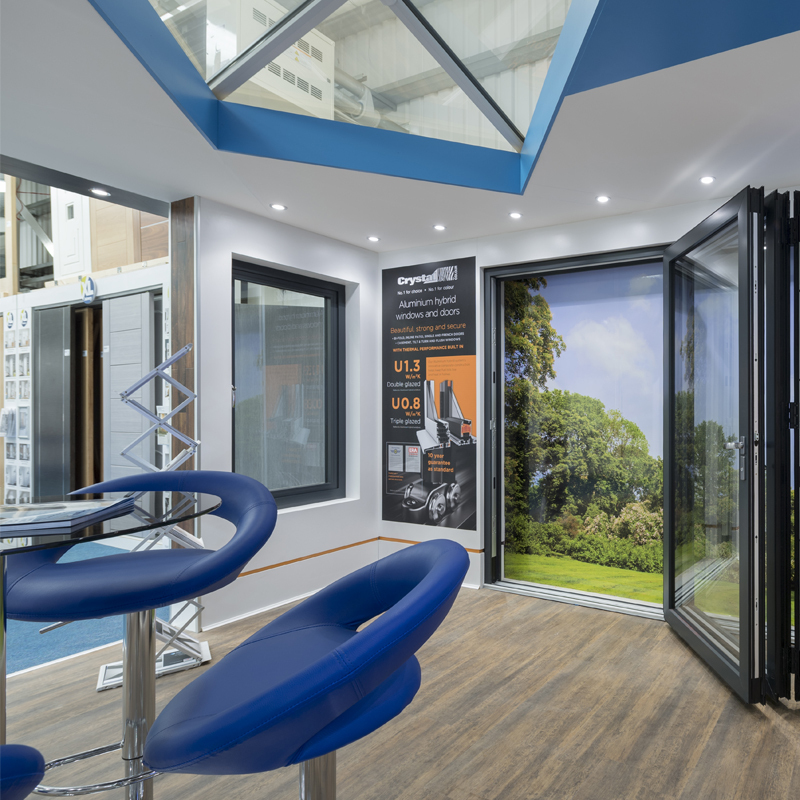 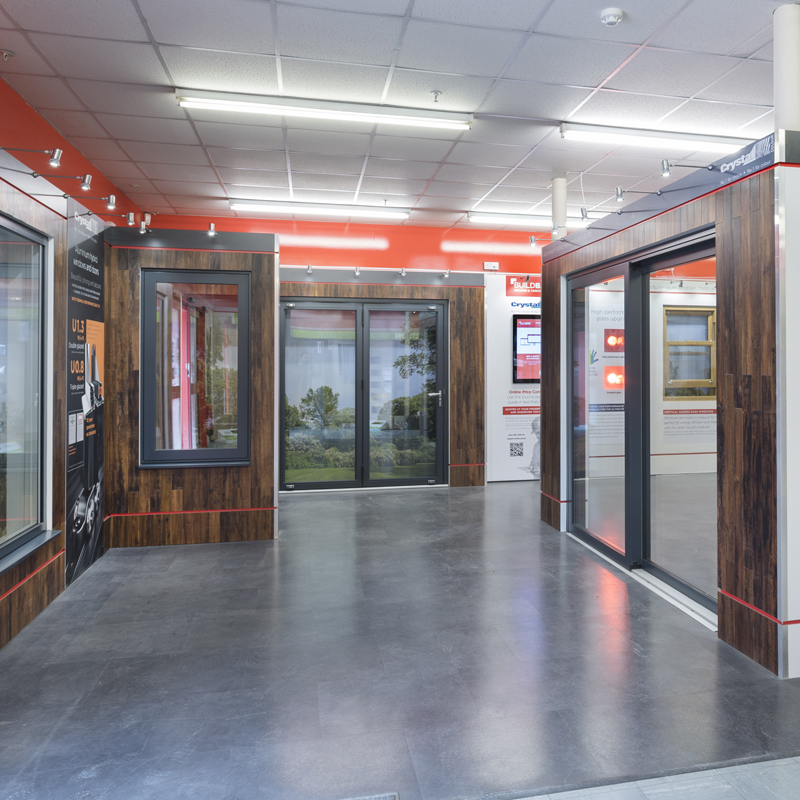 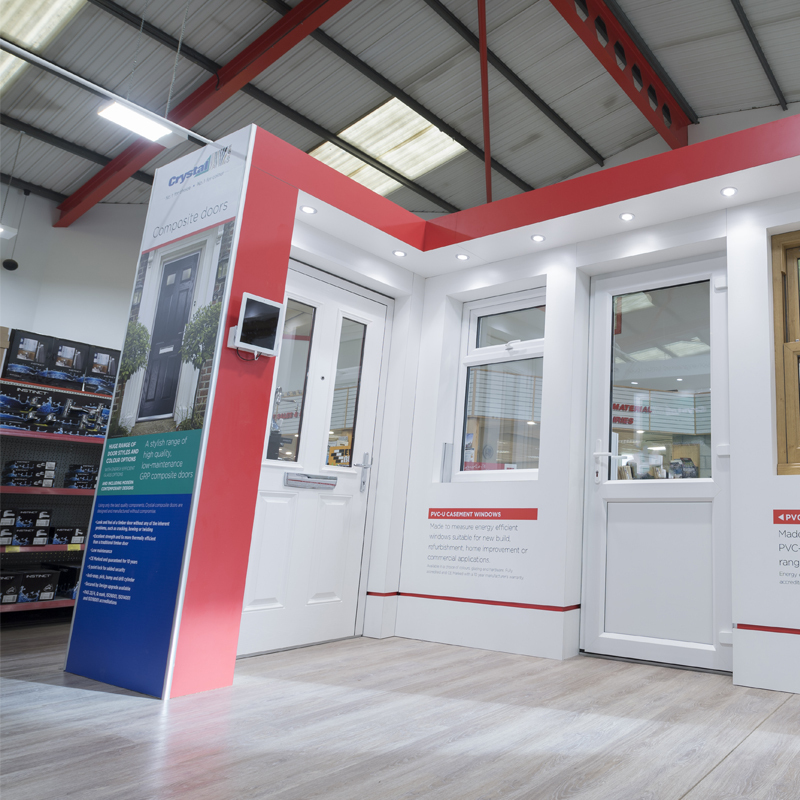 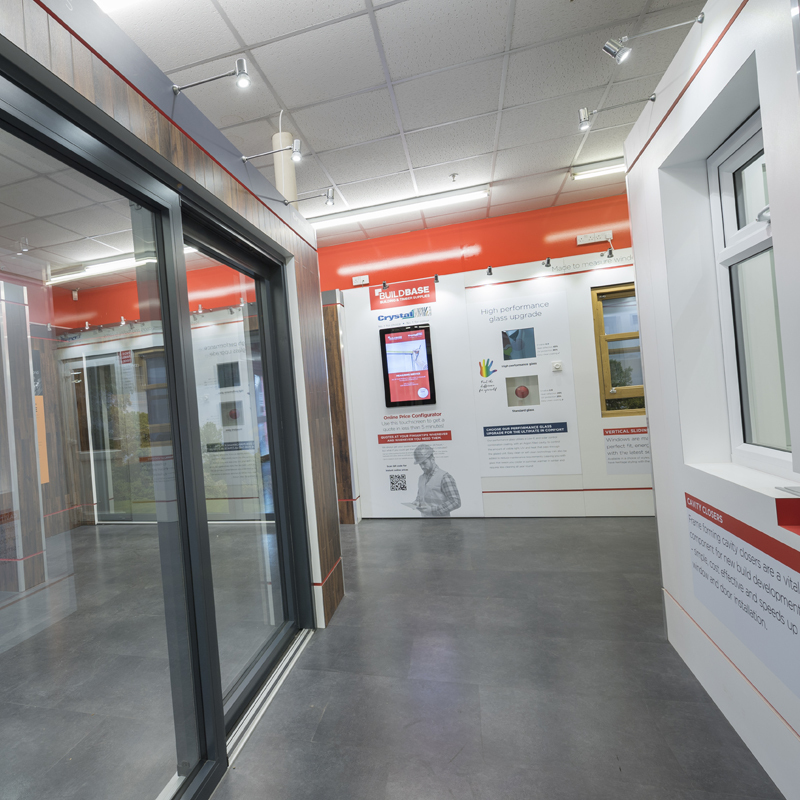 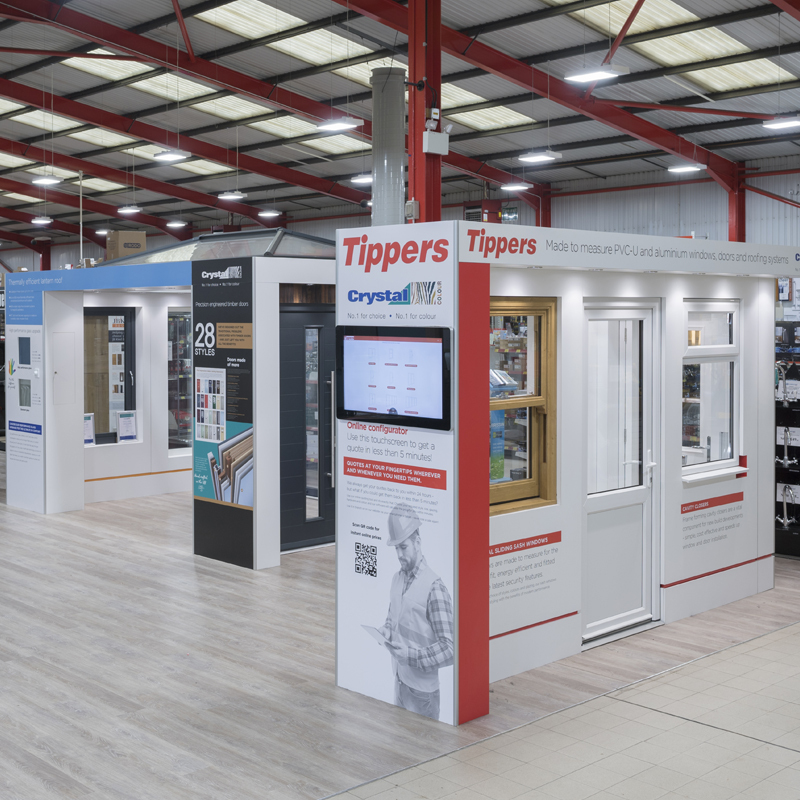 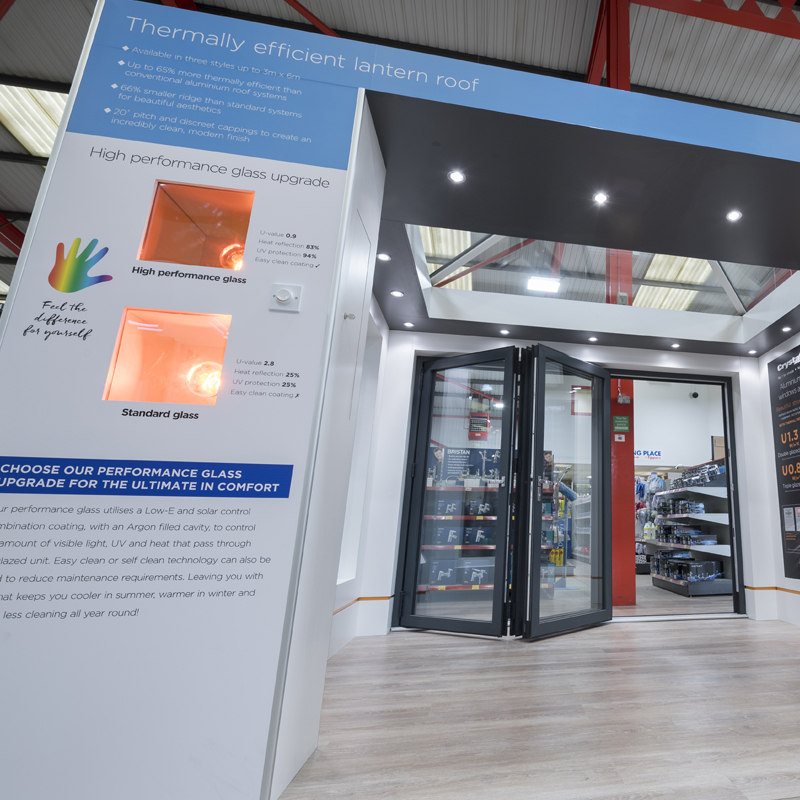 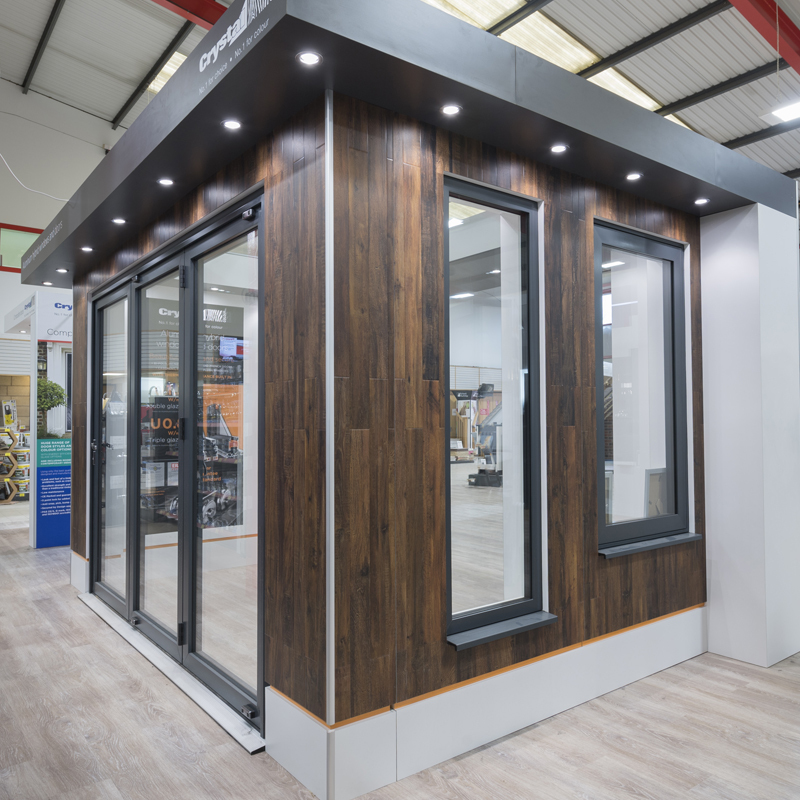 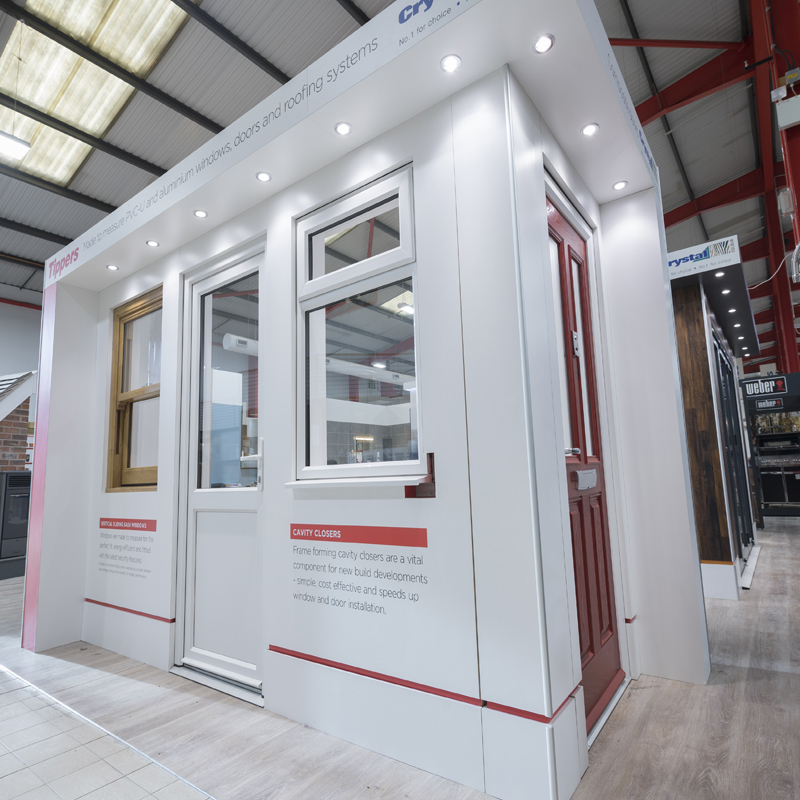 The showrooms have been designed to appeal to both trade and consumers, with the aim of attracting new, as well as existing customers, through the door. 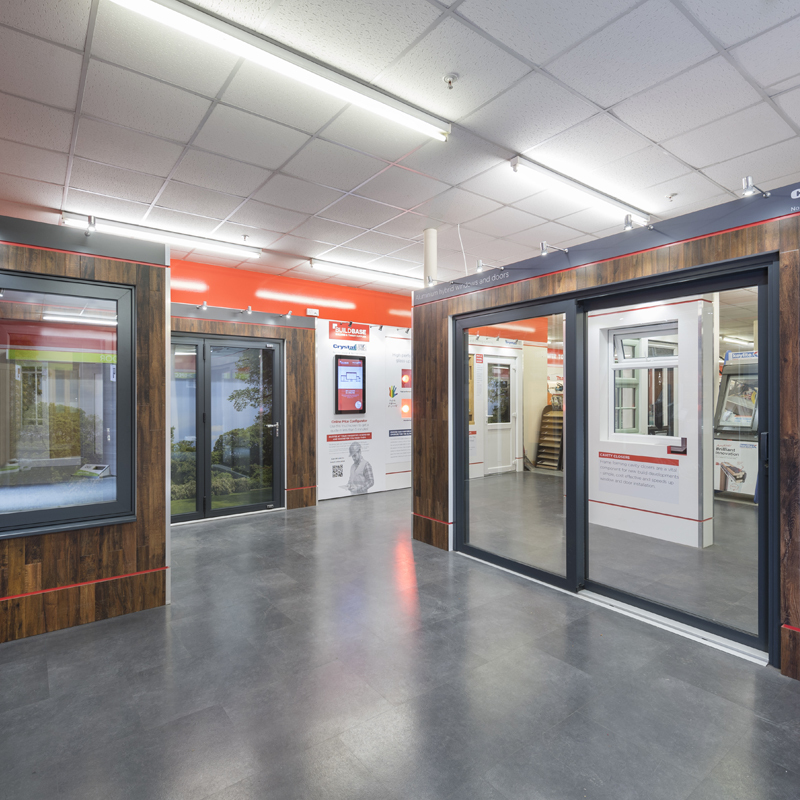 A showroom where the tradesman can now invite his customer into the branch to see our range of made to measure products for themselves, ensuring that they are completely inspired. 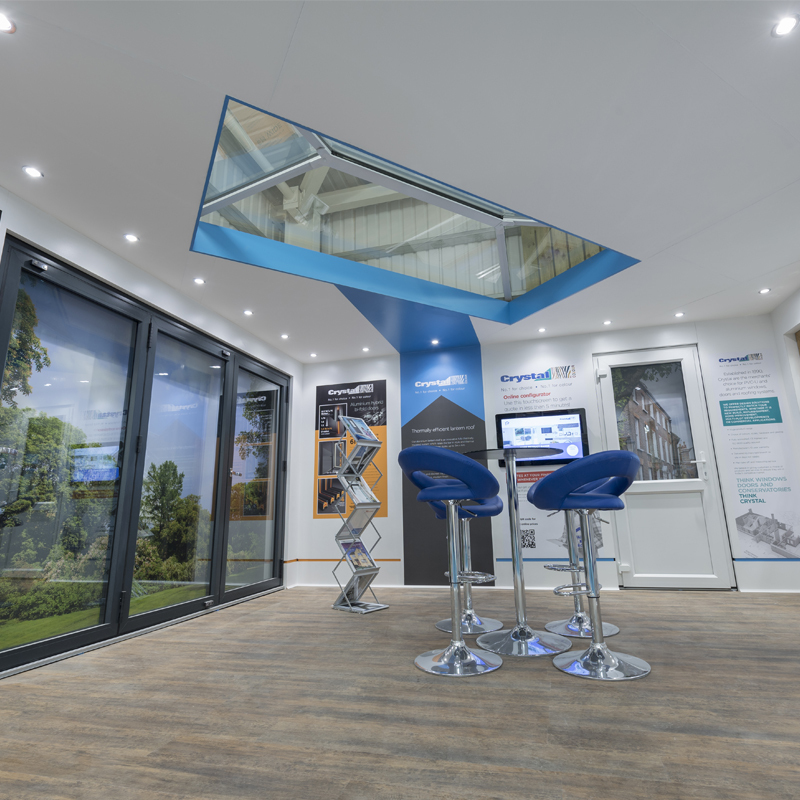 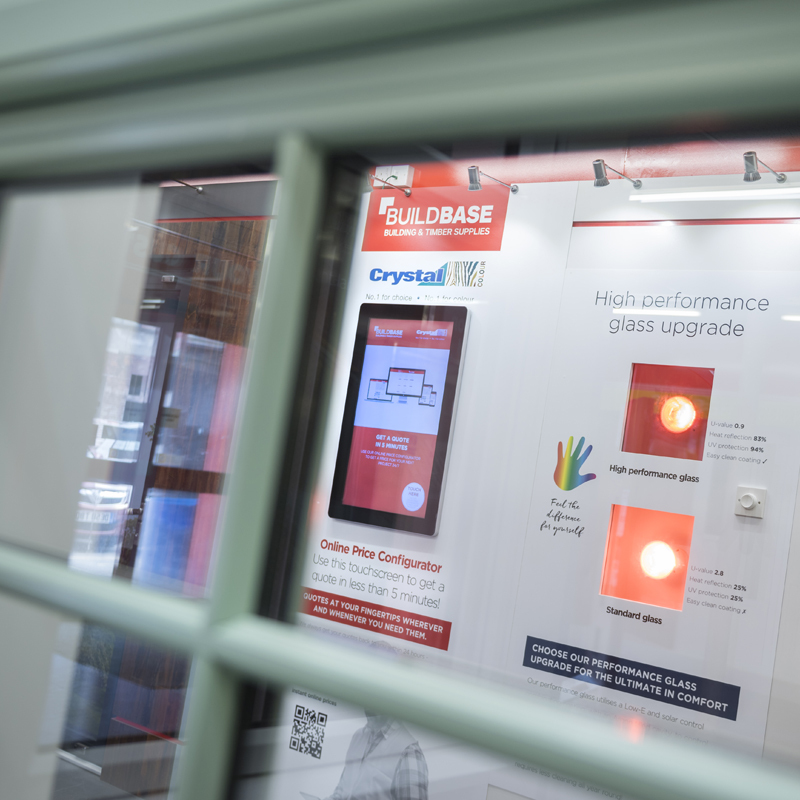 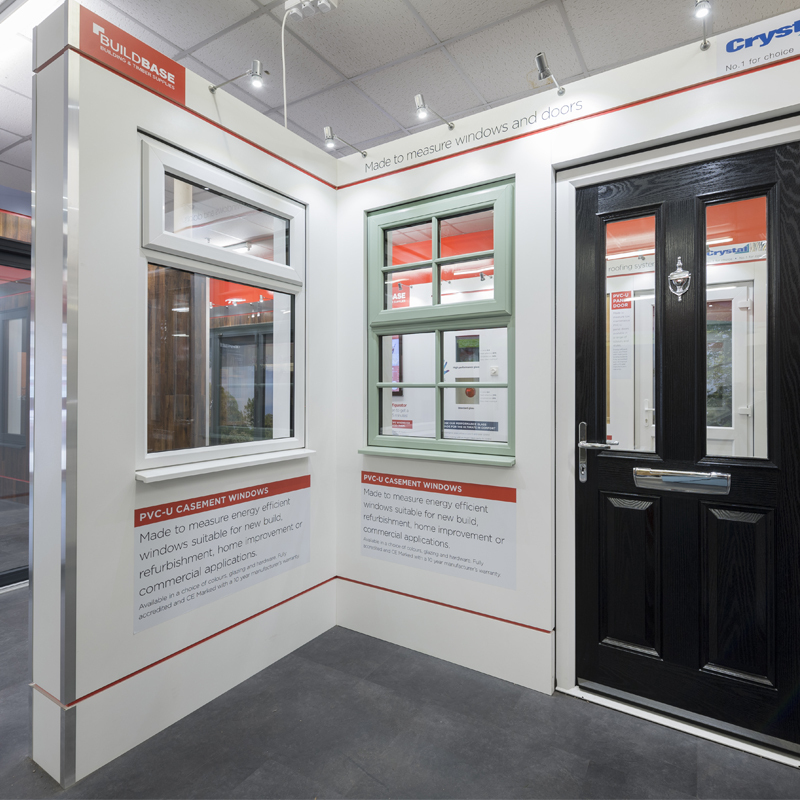 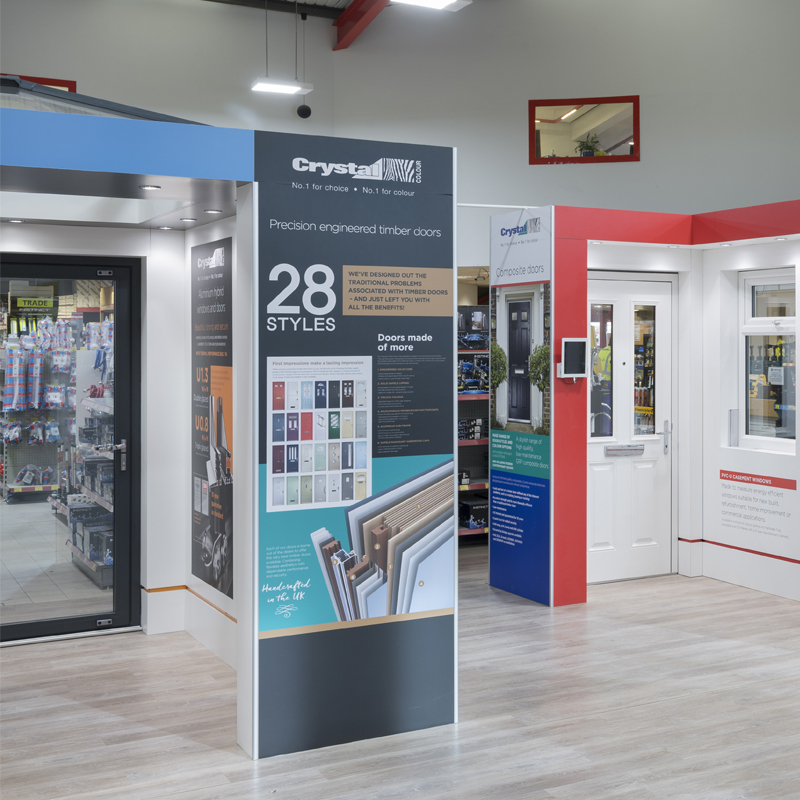 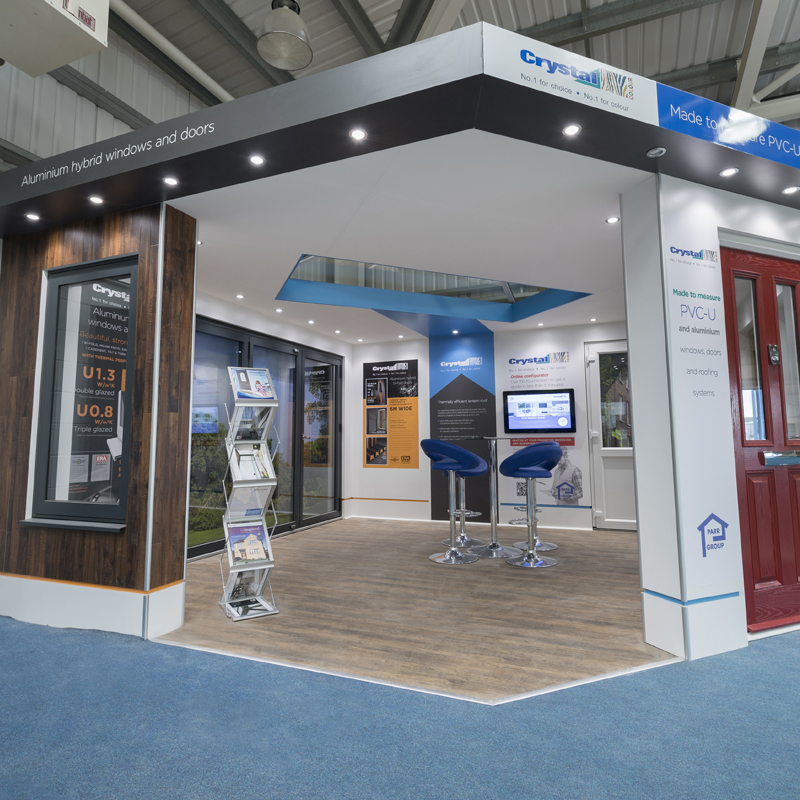 From initial design through to installation the Crystal team work with the merchant to understand their design preferences and to assess where their investment would be best spent. 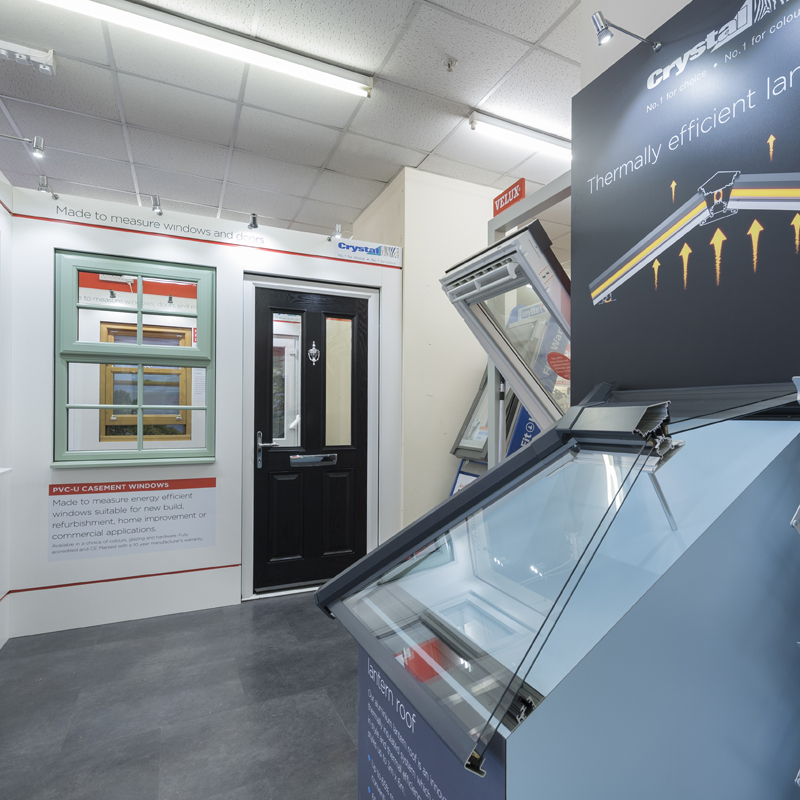 The process from initial survey to final build can take a matter of weeks. 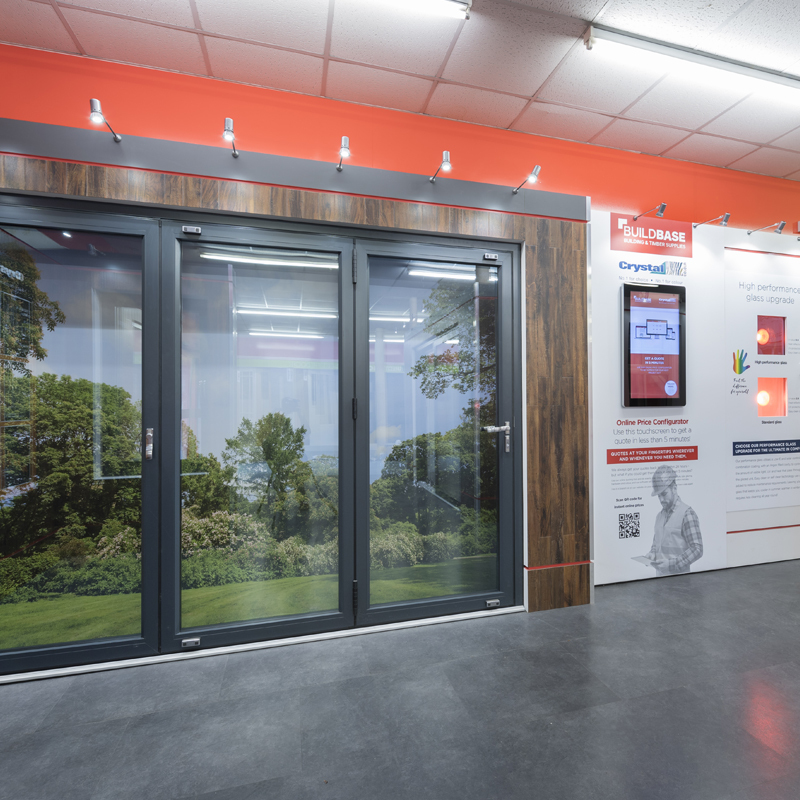 The site is surveyed with 3D concept images produced and presented to the merchant for approval. 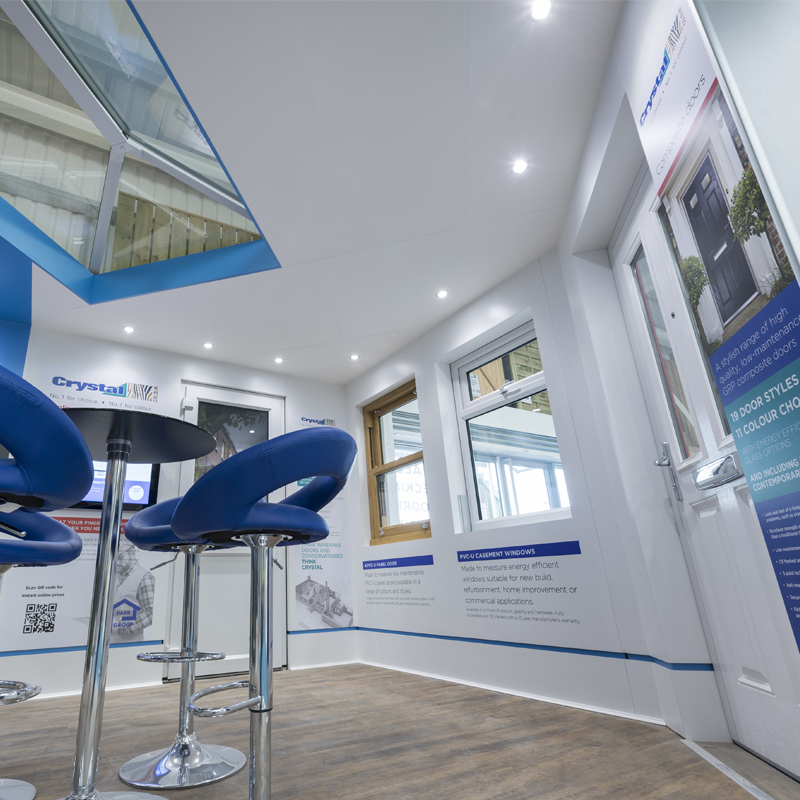 Because Crystal want the build and installation process to be as stress free as possible, they project manage a team of craftsmen and installers to ensure a completely seamless process.